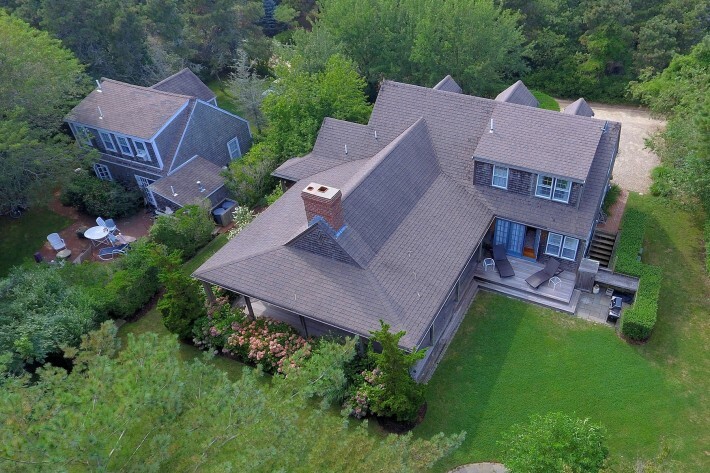 This family-friendly home offers a unique blend of luxury, space, convenience and privacy. 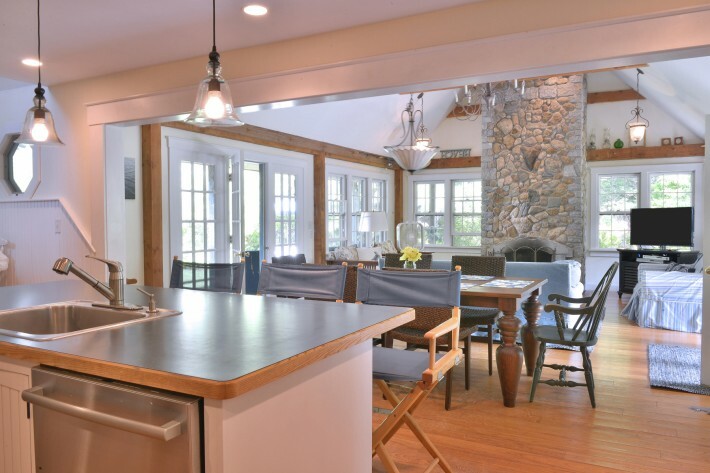 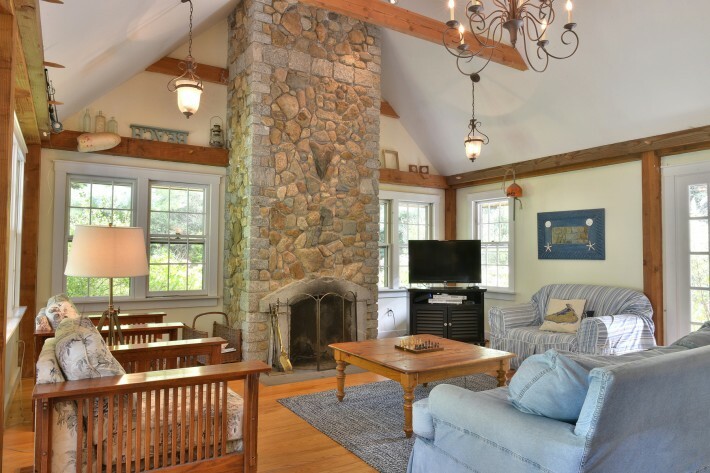 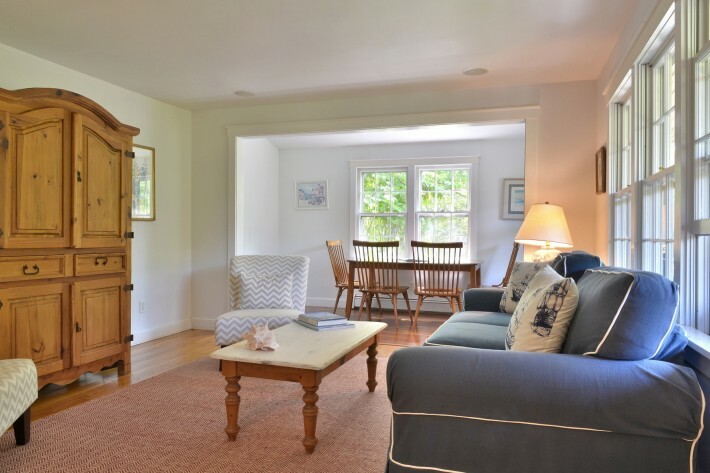 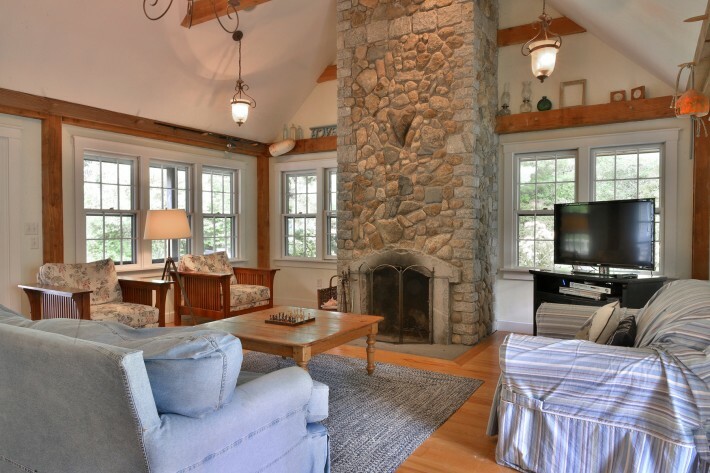 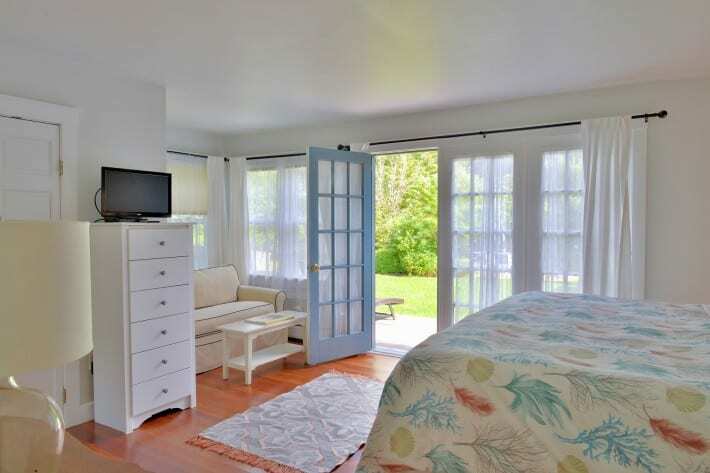 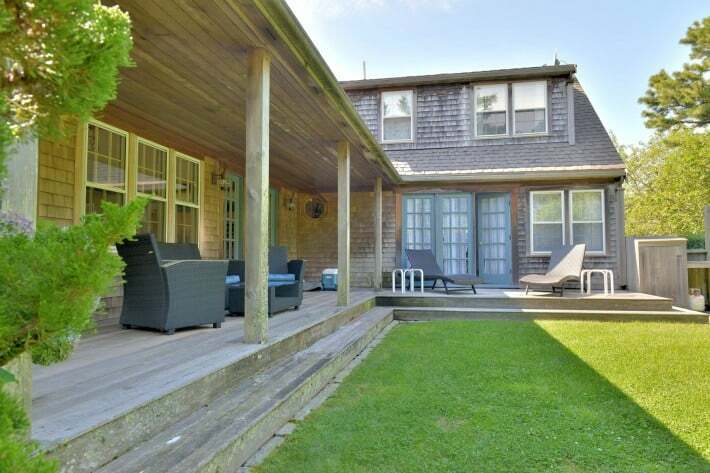 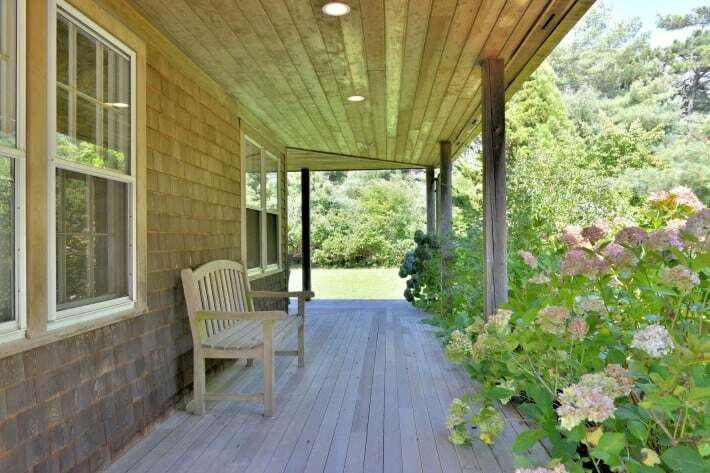 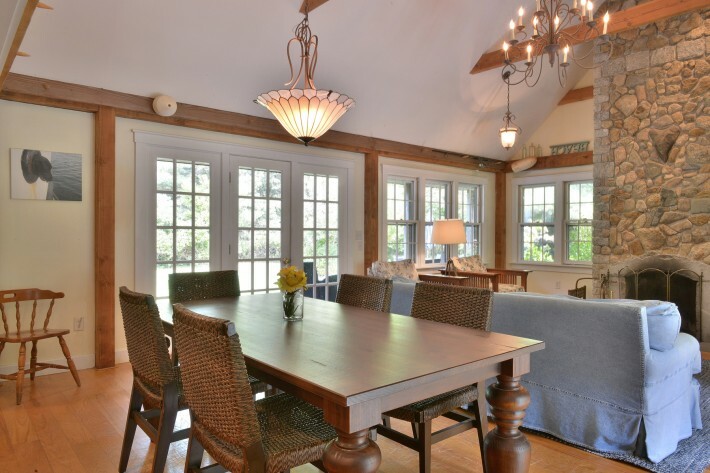 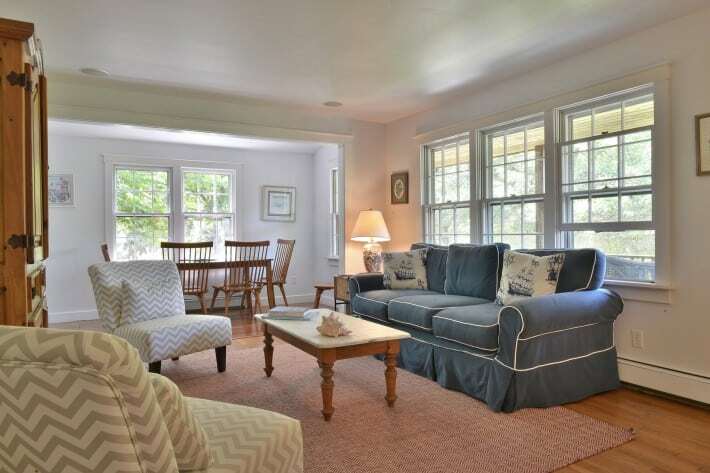 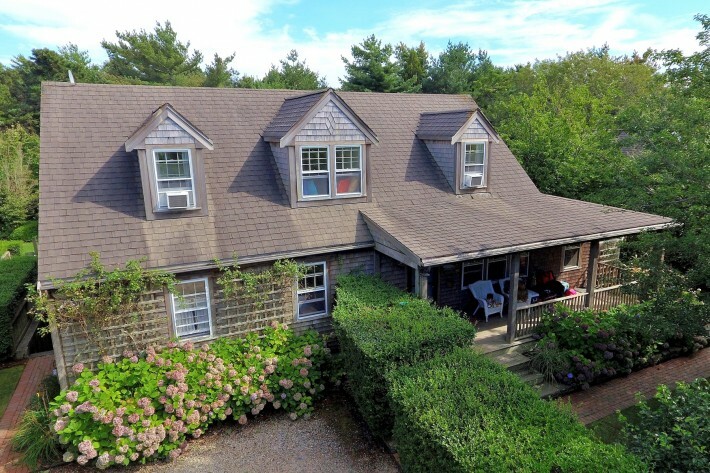 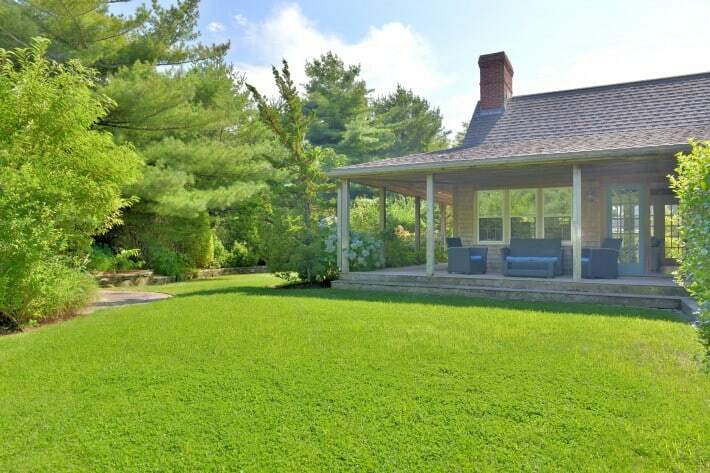 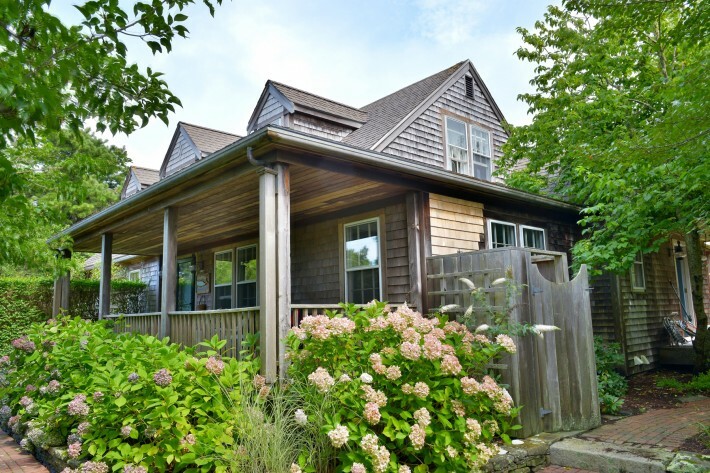 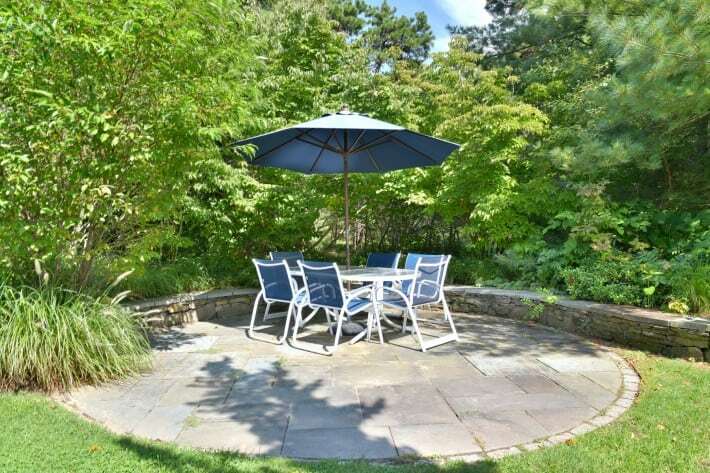 Relax in the perfect location-near everything, but away from the island bustle on a quiet road abutting the Nantucket State Forest. 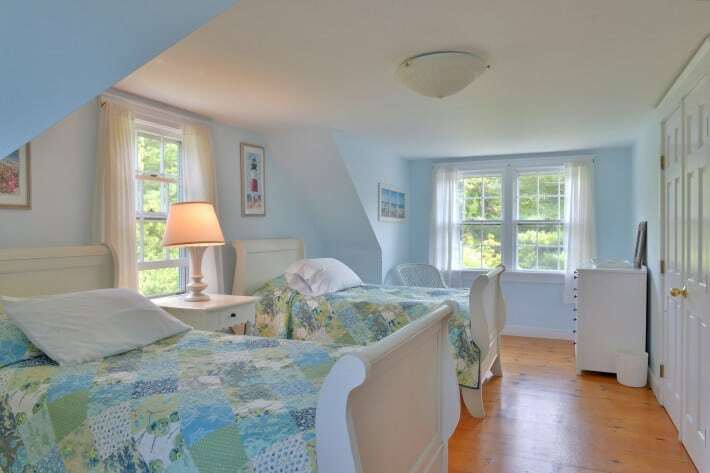 Perfect for extended families or groups. 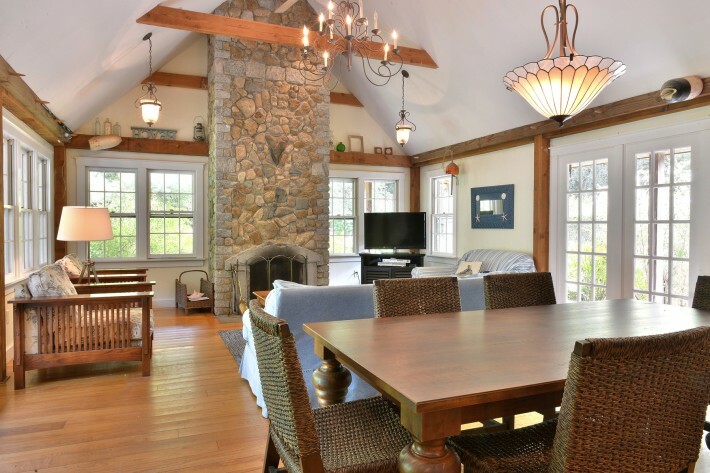 An open layout features two family rooms, post and beam ceilings, stone fireplace, fully equipped kitchen, dining area, and laundry room. 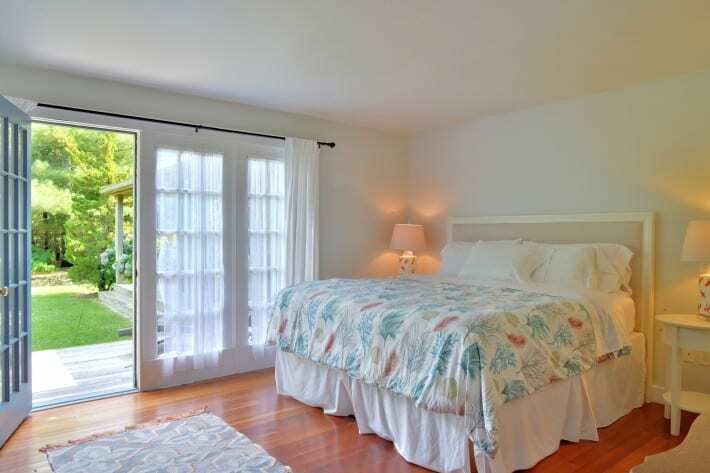 The sumptuous master bedroom offers a king bed, over sized chair and French doors leading to the garden. 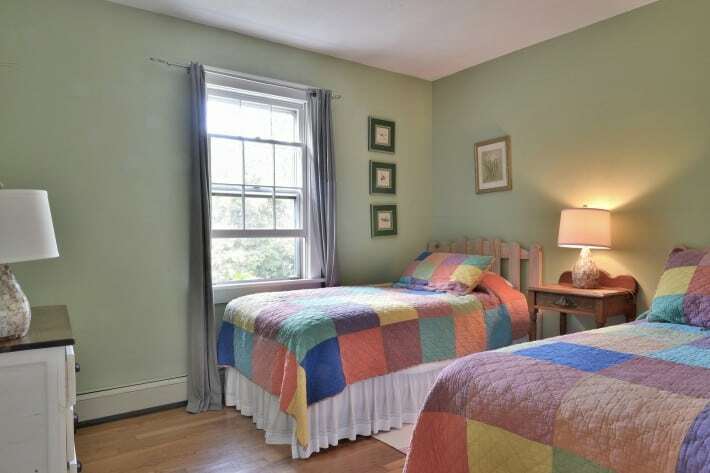 The first floor also has an airy second bedroom and a luxurious bath with whirlpool tub and dual rain shower heads. 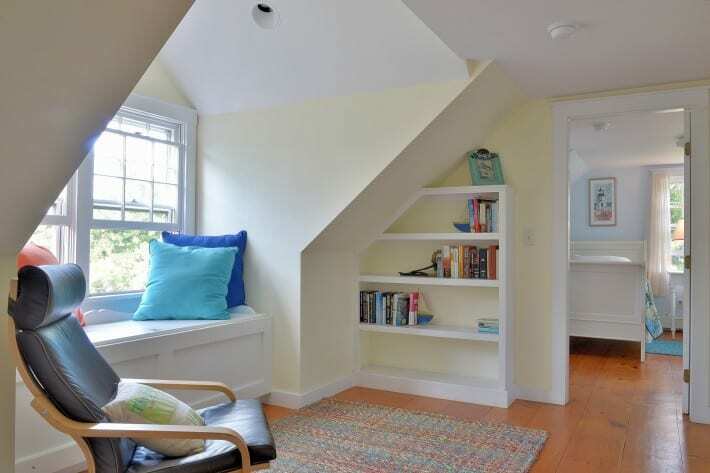 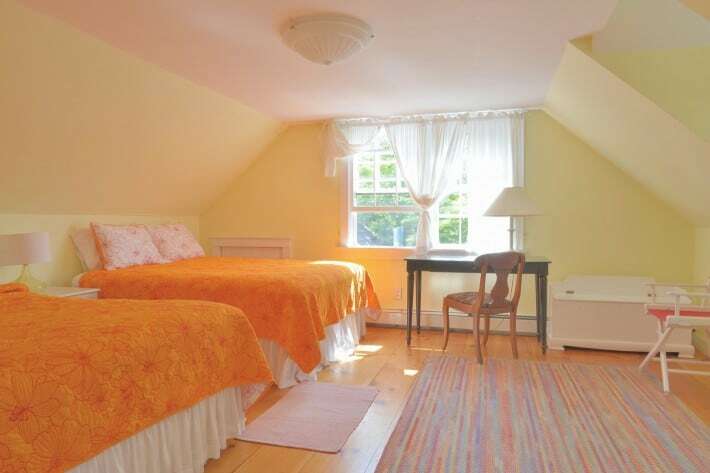 The second floor offers two more spacious bedrooms, another full bath, and a charming reading nook with window seat. 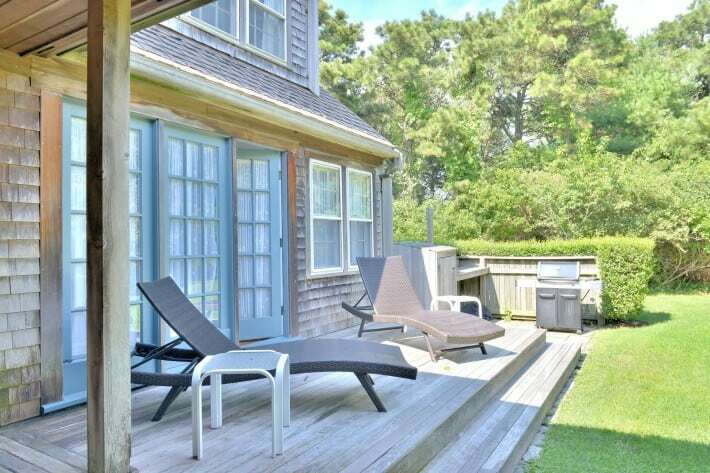 Outside you will find an inviting wraparound porch, large hedged yard, lounge chairs, patio table, gas grill and outdoor shower. 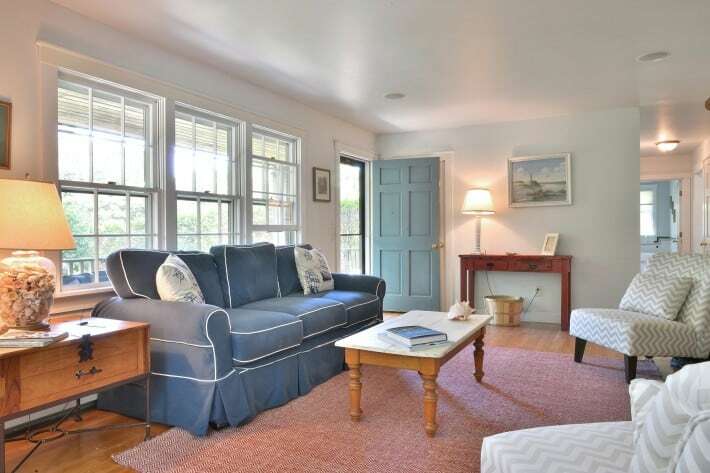 The Surfside location is central to beaches, shops and biking. 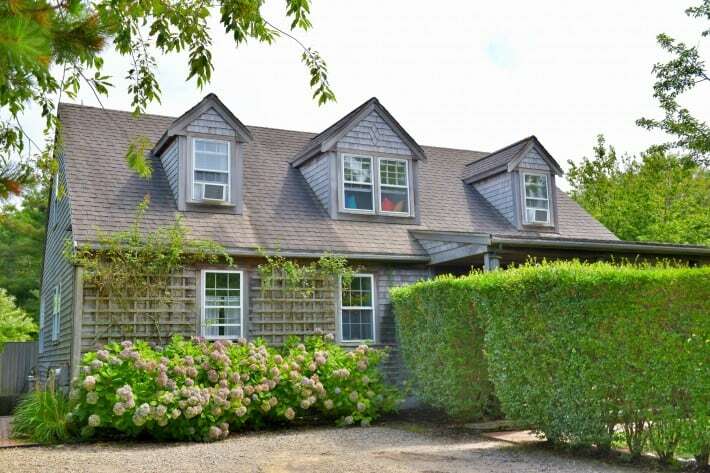 Take the bike path or back roads to the south shore beaches, just 1.4 miles away. 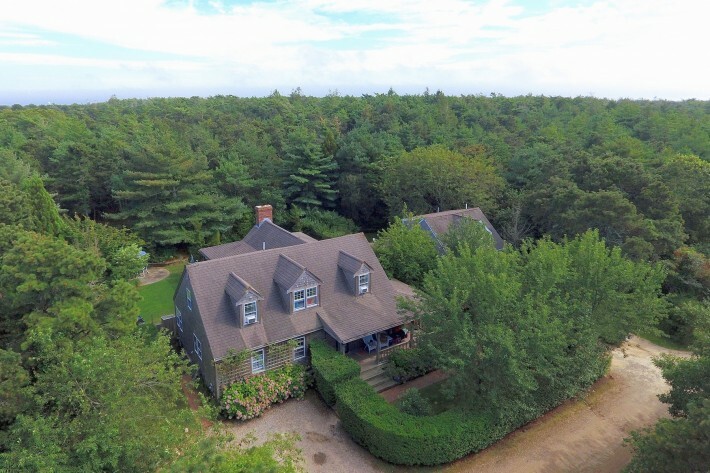 The State Forest is great for hiking and offers an 18-hole disc golf course. 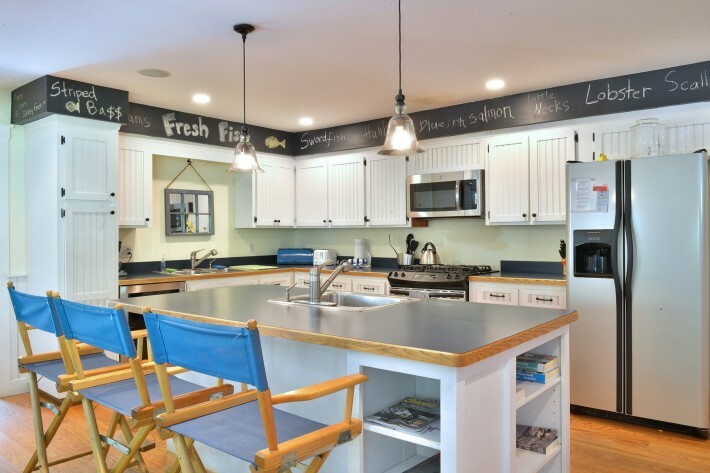 An organic market, bakery, coffee shop, meat and fish markets, spa, bike shop and shuttle bus are all within walking distance. 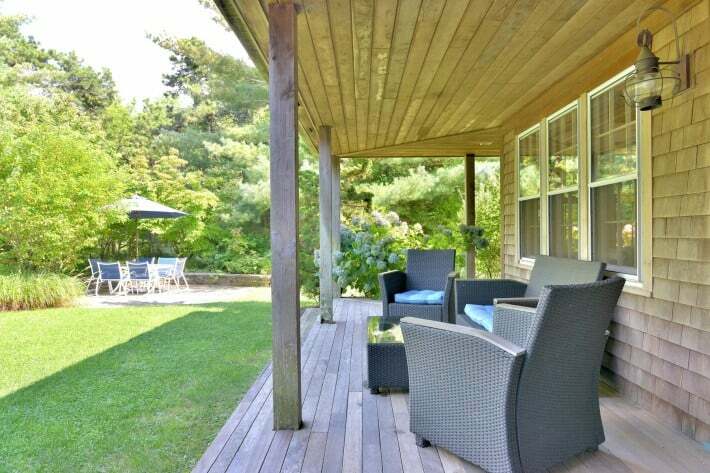 With town less than two miles away and beaches even closer, this private getaway has it all.